In 2015, the Ministry of Energy, Agriculture, Environment and Rural Regions of the German federal state Schleswig-Holstein commissioned an assessment by Möckel et al. 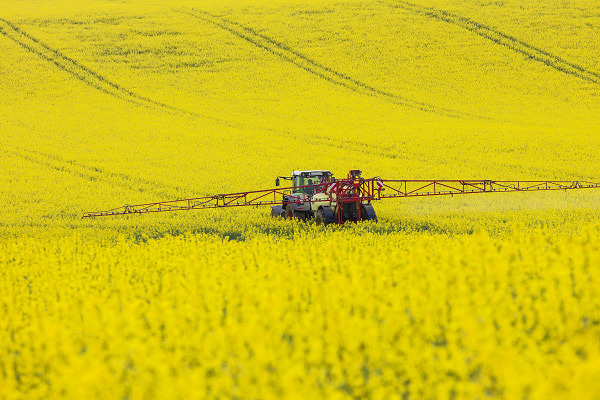 (2015) regarding a potential tax on plant protection products (PPP) in Germany. This study recommends the introduction of a tax on PPP in Germany, proposing to levy a basic fee of EUR 20 per PPP, for the maximum application rate in the main field crop, per hectare per year. According to this study, the potential tax would result in a median price increase of 45% for PPP, which would lead to a demand reduction of 20% in the short run and 35% in the long run. On average, this would lead to a profit loss of below or at 20%. 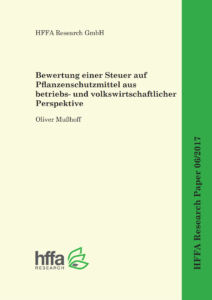 Considering these results, the author of HFFA Research Paper 06/2017, Oliver Mußhoff, critically analyses the results presented by Möckel et al. (2015). He comes to the conclusion that a tax on PPP, as suggested by Möckel et al. (2015), would potentially lead to income losses of almost EUR 1.8 billion across all arable crops. Most of these losses would be caused directly by the tax, while leading to a tax revenue of about EUR 1 billion. However, Mußhoff argues that the sectoral income loss may rise from EUR 1.8 billion to EUR 2.2 billion when taking into account that this potential tax may lead to 20% of the farms transitioning to organic agriculture. And as farming is strongly embedded in the value chain, the introduction of the tax could lead to an additional income loss of EUR 400 million in adjacent sectors. If 20% of farms were to transition to organic farming, additional costs of EUR 700 million would arise along the value chain. Any quantitative analysis may be critically challenged. However, this impact assessment employs very conservative calculations based on public, openly-assessable data in order to not overestimate possible outcomes. While the author acknowledges that PPP have potential risks, he suggests so-called “nudging” as a better tool for responsible plant protection management than a tax. This can be done through, for example, appropriate labels regarding toxicity.